Most days I drink three cups of tea. Sometimes more. Every day, at about the same time, I’m ready for my evening cup of deliciousness. Usually the sun has dipped below the horizon, lending a hazy glow to the darkening sky, and I desire little more than to sneak under a soft throw on the couch. With every sip I slip away. This is when I unwind. This is when I daydream. Even if I drink the same tea all day long, this cup tastes different. This cup is therapy. 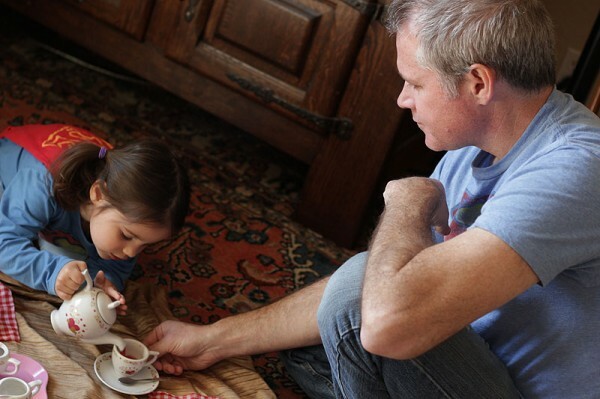 During these calm evenings, I almost always want hot tea although sometimes – in the sweaty heat of Oklahoma summers, I crave a tall glass of cold tea outside, in the warm evening breeze. Today’s recipe for bissap enjoyed in Mali (and west Africa in general), easily satisfies both those cravings. Whether hot or cold, the flavor is bright, fruity, with a punch of ginger smoothed out by a slinky splash of vanilla. 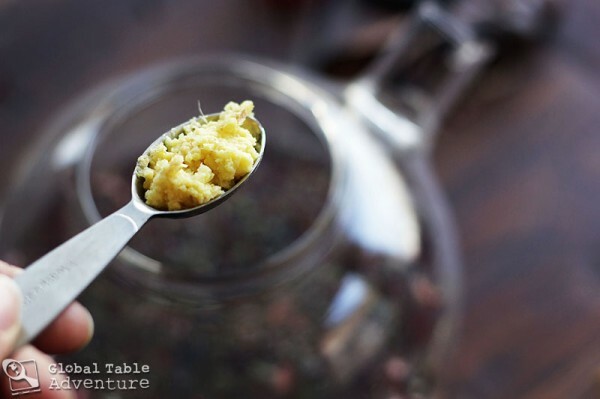 We’ve made pineapple bissap before, but today’s recipe is a totally different experience – softer, more complex, and with a spoonful of sugar in every glass, it’s just about the best drink I can think of for a west African tea party. 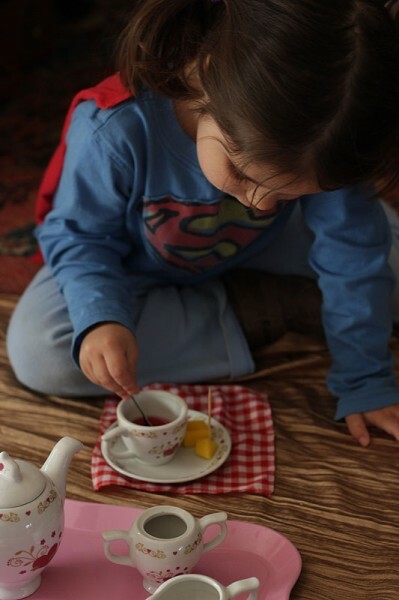 And if you *do* have a west African tea party, be sure to serve the bissap with a few pieces of cubed mango. “Pinkies in the air” is strictly optional. Countdown to cozy time! First, boil a happy pot of water (8 cups). Add hibiscus, ginger, vanilla extract, and a small snowfall of sugar. Let steep a few minutes. 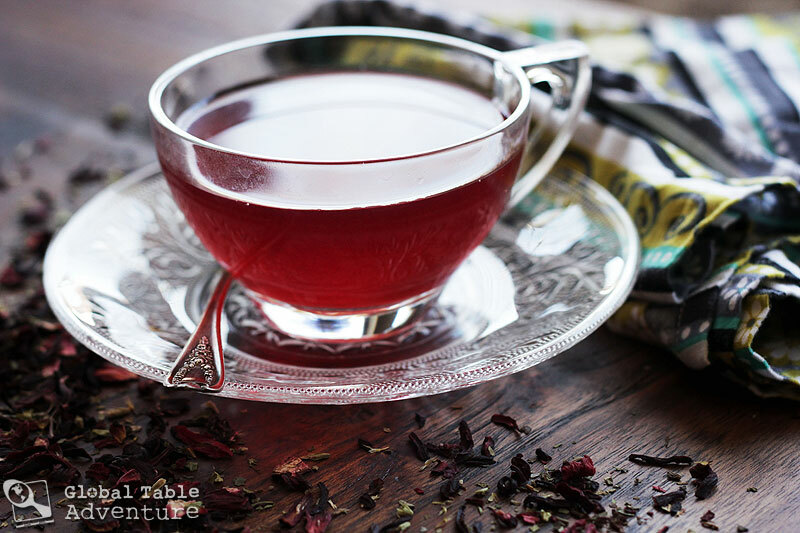 Watch the hibiscus tea dissolve into ribbons before finally spreading enough to stain the water deep fuchsia. Next? Time to find a cozy spot to sip your tea. Perhaps on a large, flat stone, warm from the afternoon sun. … or chilled over sparkling ice. I promise you, you’ll be making this tea over and over again. And each time, thanks to stovetop travel, you’ll find yourself in a slightly different dream. 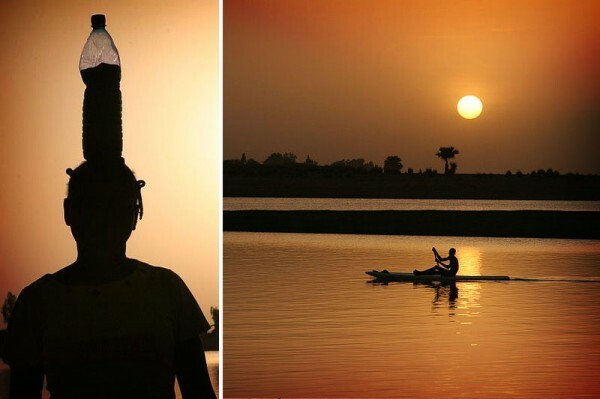 Bottle on the head and the Niger River, Mali, photos by Ferdinand Reus. We've made pineapple bissap before, but today's recipe is a totally different experience - softer, more complex, and with a spoonful of sugar in every glass, it's just about the best drink I can think of for a west African tea party. Boil a happy pot of water (8 cups). Add hibiscus, ginger, vanilla extract, and a small snowfall of sugar. Let steep a few minutes. Your poll results intriques me, here when we talk about hot tea, especially since a big percent of tea comes from SL, here we get the reaction it is a foreign concept and you do see most people drinking cold tea, so it was interesting to see everyone voted hot tea so far. Am urious which part of the US drinks mostly hot tea as opposed to cold tea too. 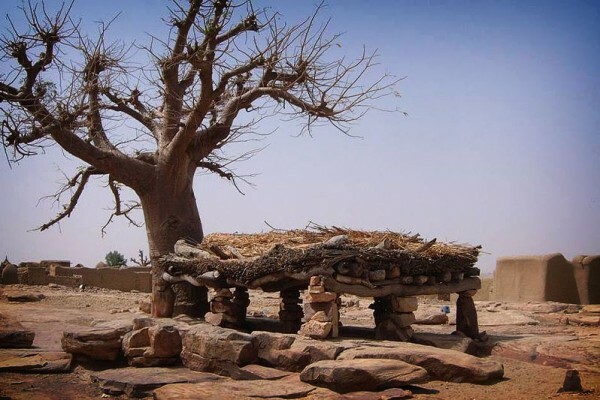 That makes sense – cold places want a warm drink, warm places want a cool drink. 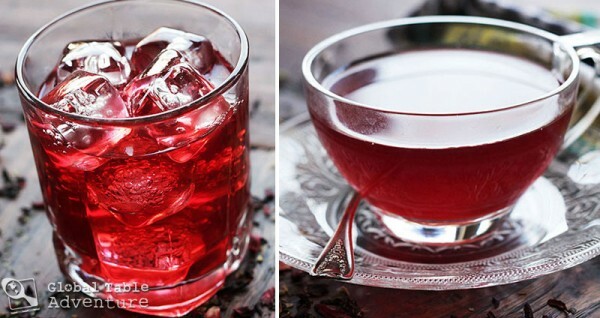 I am going to look for hibiscus tea and try this, what a great color! 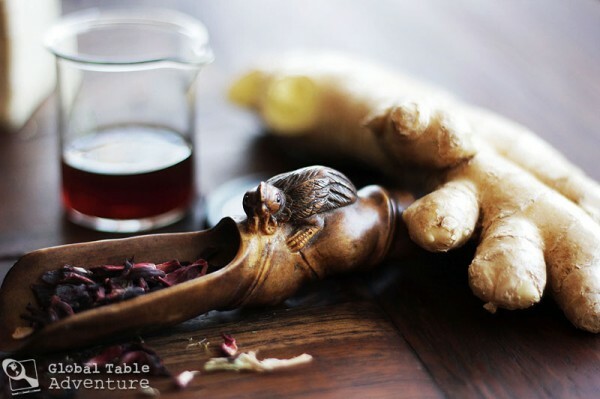 I drink a lot of tea daily, and this would be a great variation, plus I love ginger! Guess what? Just enjoying right now my first cup of vanilla ginger bissap! 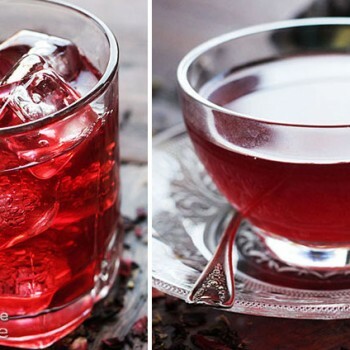 this is a wonderful, wonderful tea – mellow, not too sweet, the vanilla and the ginger come through, but the hibiscus… WOW! thank you sooo much for introducing me to bissap – I hope to blog about it next month, and when I do, I’ll give you all the credit, of course! Hey, that’s fantastic Sally 🙂 You can also add different flavors to mix it up – mint, pineapple chunks, almost anything, really 🙂 Thanks for trying the recipe out… I’m glad you enjoyed it! Hi Sasha, I’d like to say “thanks” for introducing me to this tea. I ordered a bag of hibiscus the night I read your post and soon was making a big carafe-ful every day, just to break the boredom of keeping hydrated. But then coffee failed me — I couldn’t drink it anymore, all of a sudden — and I really missed the morning ritual of something special to drink. 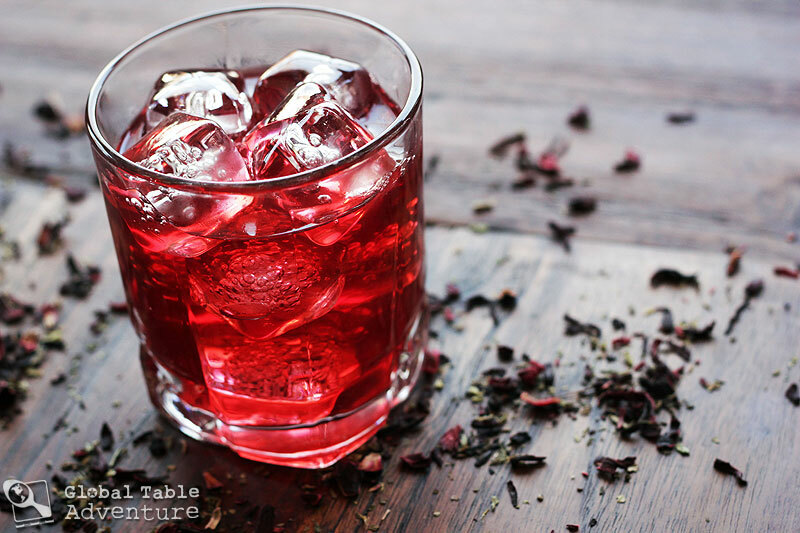 Enter what I call “hibiscus tea” — served hot early and chilled later in the day. So thanks … the power of blogging!